Added on 27 November 2017 by Lurler. Today we'd like to share with you another update on CryoFall development. We're progressing at a nice pace towards the first public release and besides the general mechanics we're also working on a number of visual candies to make the world more diverse in its presentation. As you know, there are different climate zones in the game (biomes) and each will have different visual presentation and gameplay elements. So our first three props are craters, fallen space debris and even some kind of an aircraft or a shuttle after a crash (could that be your ship?). These props were designed with a futuristic, sci-fi nature of the game in mind, and we think they communicate that feel quite well. Now, there are also a few more props for a more finished look of the landscape in temperate regions of the map. 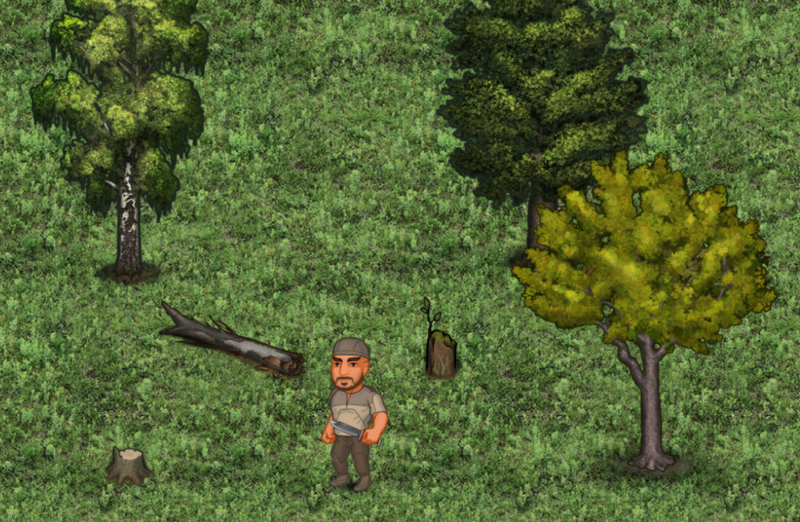 We've had a lot of trees done before, but after a couple of playtests it became clear that more details were needed to properly convey the "wilderness" feeling. 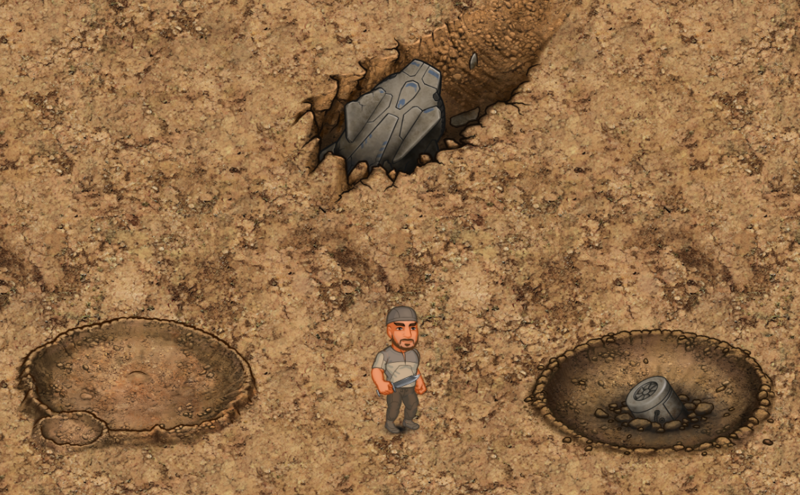 And while the work on actual landscape is nowhere near finished (and will be continued after release) we have now added a few variations of tree stumps and fallen tree trunks among other things. Well, technically these are not props, because you can harvest them with your axe, but they do make the forest look much better. Well, that's the gist of it for this week's update, we'll keep updating our blog with new entries, so stay tuned for more news!